I don’t know if truer words were ever spoken. If you are happy you have achieved something great. If you can go to sleep each day with a smile on your face you have success. You may not be the person you thought you would be, but you are happy. This quote validates this blog. It validates the search for one thing a day to make you happy. One thing could be so simple. It could be a song, a quote, a food, a phone call…. 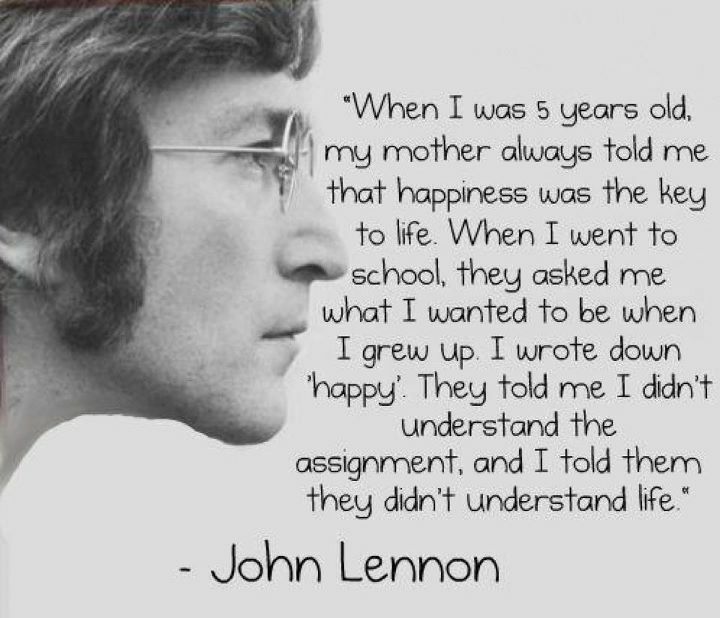 Today I am smiling for John Lennon and the words of wisdom.